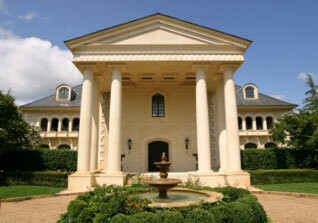 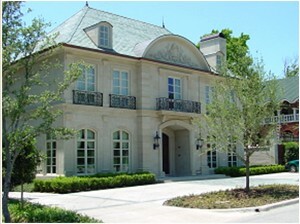 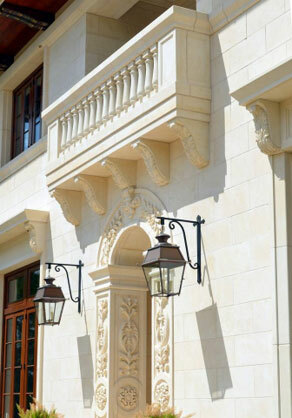 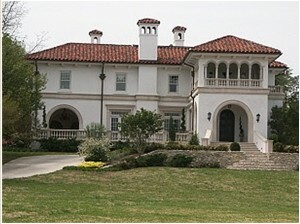 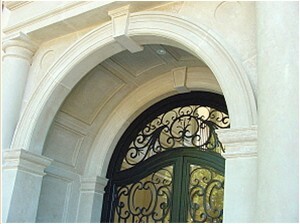 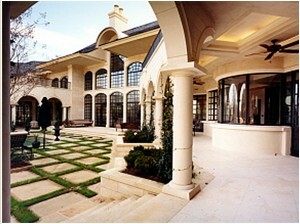 “Combining classical elements inspired by the architecture of Andrea Palladio with those recalling the romantic character of the Mediterranean Revival, this 12,800-square-foot (1189-square-meter) house pays homage to and enhances the extraordinary streetscape of New Orleans’ Saint Charles Avenue.”, as described in the Kent Tate article describing the client collaboration with the Architect. 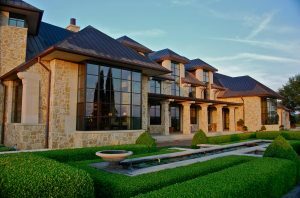 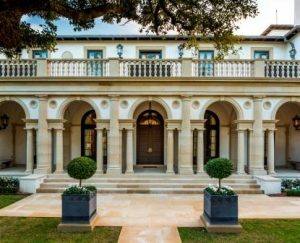 Over 4,000 pieces of cut Texas “Cordova” Cream and Hadrian Limestone enhance the exterior of the home, garage and pool house. 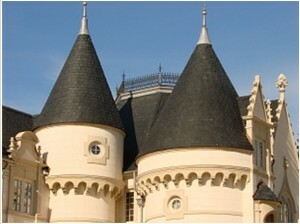 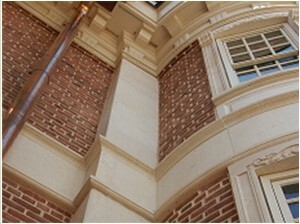 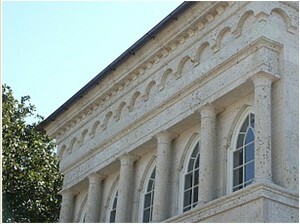 There was also over 1,200 pieces of stone accents such as window surrounds, balustrade, caps, treads, risers and cornices. 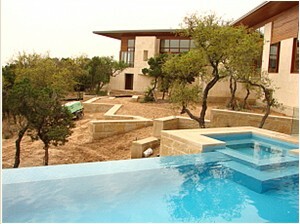 Texas Carve Stone’s, Bob Ragan carved many of the pieces. 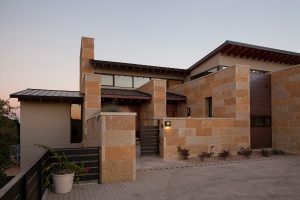 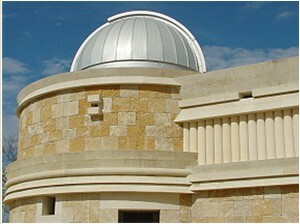 Approaching the house reveals the massing and material palette of Texas Lueders limestone, copper and stucco. 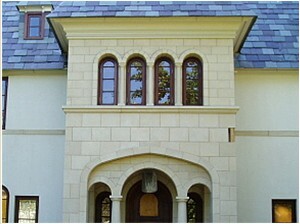 An intimate entry court features a unique steel gate, and a water feature below a low window into the living room, providing peeks in and out.